The Lone Bear District serves the counties of Johnson, Henry, and St. Clair, southeast of Kansas City, Missouri and includes the following communities: Appleton City, Blairstown, Calhoun, Centerview, Clinton, Collins, Deepwater, Holden, Kingsville, Knob Noster, Leeton, Lowry City, Montrose, Osceola, Roscoe, Vista, Warrensburg, Whiteman AFB and Windsor, Missouri. 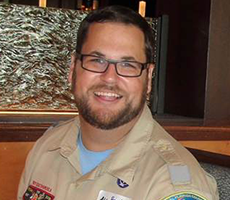 The district is organized to support the volunteer unit Scouters as they provide the programs of the Boy Scouts of America, to the youth of this area. Roundtable is our Monthly gathering for district and unit leaders. This is a great way to learn about whats coming up, training opportunities and get ideas to make your local scouting program better. Roundtable is held the first Tuesday of every month (except July) at 7pm at the Clinton Scout Building located at 808 Augusta Street in Clinton, MO 64735.